There’s always a huge fuss when getting goose bumps from our all time favourite monsters – zombies. I know what you guys are thinking, yep – all hail to AMC’s best zombie survival drama “The Walking Dead“ which brought the living dead in front of our TV screens. As our conquest to compile the best top 10 list, we ranked the best zombies chronicles of the big screen to complete our list of horrific and mind-boggling monsters ever created by human mind – wishing they aren’t real. But if you’ve ever sought after where a zombie’s love for brains came from (I mean the plants vs. zombies game, which are now obsolete – thanks to angry birds), who wins a fight between a zombie and a plants, and a better use for your lawnmower, then check out the following list of zombie apocalypse films. 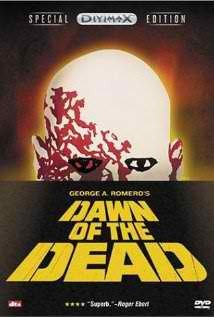 Dawn of the Dead (also known as Zombi internationally) is a 1978 horror film written and directed by George A. Romero. 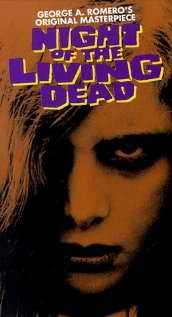 It was the second film made in Romero’s Living Dead series, but contains no characters or settings from Night of the Living Dead, and shows in larger scale a zombie epidemic’s apocalyptic effects on society. In the film, a pandemic of unknown origin has caused the reanimation of the dead, who prey on human flesh, which subsequently causes mass hysteria. The cast features David Emge, Ken Foree, Scott Reiniger and Gaylen Ross as survivors of the outbreak who barricade themselves inside a suburban shopping mall. Braindead (New Zealand 1992), released as Dead Alive in North America, is a cult zombie comedy splatstick horror film directed by Peter Jackson. The film is widely regarded as being one of the goriest films of all time. Night of the Living Dead is a 1968 American independent horror film and cult film directed by George A. Romero, starring Duane Jones, Judith O’Dea and Karl Hardman. It premiered on October 1, 1968, and was completed on a USD$114,000 budget. After decades of cinematic re-releases, the film was a financial success, grossing $12 million domestically and $18 million internationally. Night of the Living Dead was heavily criticized during its release because of its explicit content, but received critical acclaim and was selected by the Library of Congress for preservation in the National Film Registry as a film deemed “culturally, historically or aesthetically significant.” The film entered the public domain due to an error by the distributor. 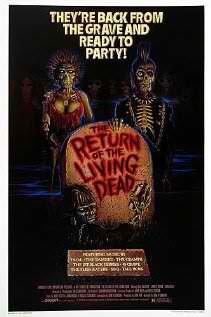 The Return of the Living Dead is a 1985 American comedy/horror film written and directed by Dan O’Bannon and starring Clu Gulager, James Karen and Don Calfa. The film tells the story of how three men accompanied by a group of teenage punks deal with the accidental release of a horde of brain hungry zombies onto an unsuspecting town. The film is known for introducing the popular concept of zombies eating brains, as opposed to just eating human flesh, like previous zombie iterations, as well as its soundtrack, which features several noted deathrock and punk rock bands of the era. The film was a critical success and performed moderately well at the box office. It later spawned four sequels. The film is the first of what Pegg and Wright call The Three Flavours Cornetto Trilogy with Hot Fuzz (2007) as the second and The World’s End (TBA) as the third. The film was a critical and commercial success in the UK, and the US. It received a 91% approval rating on Rotten Tomatoes and a score of 76 out of 100 at Metacritic. 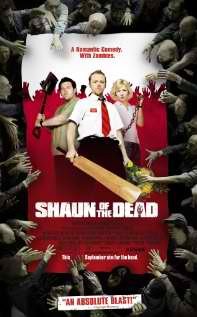 Shaun of the Dead was a BAFTA nominee. Pegg and Wright considered a sequel that would replace zombies with another monster, but decided against it as they were pleased with the first film as a stand-alone product, and thought too many characters died to continue the story. Deadgirl is a horror film directed by Marcel Sarmiento and Gadi Harel and written by Trent Haaga. Zombi 2 (also known as Zombie, Island of the Living Dead, Zombie Island, Zombie Flesh Eaters and Woodoo) is a 1979 zombie horror film directed by Lucio Fulci. It is the best-known of Fulci’s films and made him a horror icon. Though the title suggests this is a sequel to Zombi (the Italian title of George A. Romero’s Dawn of the Dead), the films are unrelated. When the film was released in 1979 it was scorned for its extremely bloody content, notably by the UK’s Conservative government. 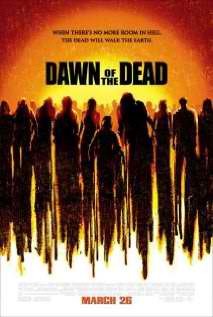 Dawn of the Dead is a 2004 horror film directed by Zack Snyder in his directorial debut. 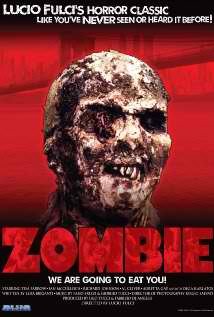 It is a remake of George A. Romero’s 1978 film of the same name and stars Sarah Polley, Ving Rhames, and Jake Weber. The film depicts a handful of human survivors living in a Milwaukee, Wisconsin shopping mall surrounded by swarms of zombies. The film was produced by Strike Entertainment in association with New Amsterdam Entertainment, released by Universal Pictures and with cameos from original cast members Ken Foree, Scott Reiniger and Tom Savini. Day of the Dead is a 1985 horror film directed by George A. Romero and is the third film in Romero’s Dead Series, being preceded by Night of the Living Dead (1968) and Dawn of the Dead (1978). Director George A. Romero describes the film as a “tragedy about how a lack of human communication causes chaos and collapse even in this small little pie slice of society”. 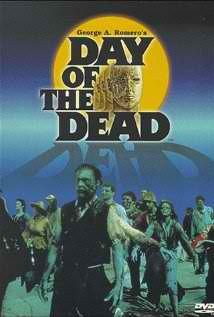 This film features Sherman Howard in an early appearance as Bub and make-up artist Gregory Nicotero playing Pvt. Johnson and doing the make-up effects. 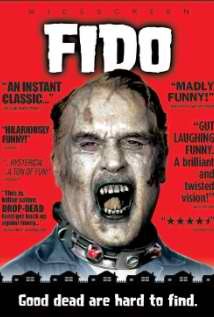 Fido is a 2006 Canadian zombie comedy film directed by Andrew Currie and written by Robert Chomiak, Currie, and Dennis Heaton from an original story by Heaton. It was produced by Lions Gate Entertainment, Anagram Pictures, British Columbia Film Commission, and Telefilm Canada.